The Israeli occupation forces (IOF) on Saturday afternoon opened machinegun fire intensively at Palestinian farmers and their lands south of the Gaza Strip, with no reported casualties. Local sources said that Israeli border soldiers spotted a young man as he was trying to cross the security fence east of Khuza'a district in Khan Younis and opened fire at him, pointing that the young man returned unharmed to Gaza. The sources added that the soldiers kept firing indiscriminately at farmers and civilians in the area, where the Israeli army intensified its presence for fear there were other infiltrators. 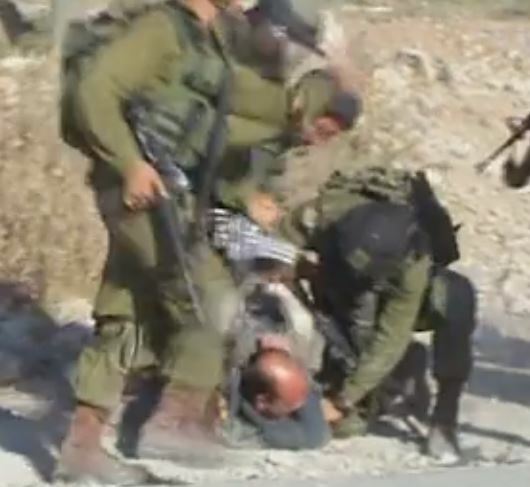 The IDF announced that an investigation would be launched as the result of a video spread on social media showing several Israeli soldiers beating a Palestinian man during a protest on Friday afternoon in Jalazun, north of Ramallah. The video, filmed by Palestinian media in the presence of other journalists and photographers, shows an Israeli soldier audibly cursing a Palestinian civilian and swinging a rifle at him. Additional soldiers then join in the scuffle, bringing the Palestinian man to the ground at which point one of the Israelis can be heard yelling, "Get the cameras out of here." 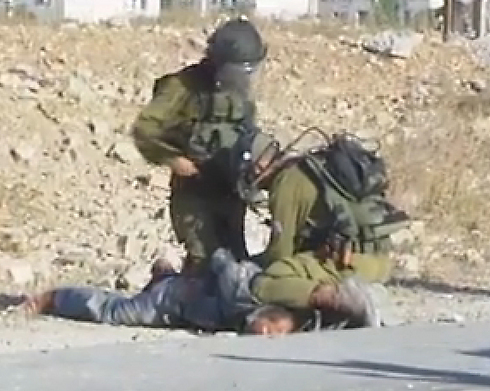 After being pulled to the ground, one of the soldiers can be seen punching the man in the face. The IDF said Saturday that the incident took place during what officials had defined as a violent disturbance involving 50-70 Palestinians who threw rocks. 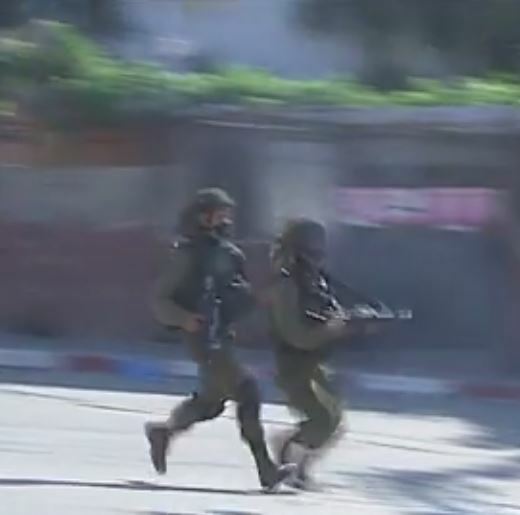 Some of the participants were also masked according to the IDF. Soldiers reportedly used riot control measures to disburse the crowd. Soldiers eventually carried out arrest procedures and fired live rounds in the air. According to an IDF spokesperson, the incident in the video is, "known to commanders and will be investigated in depth." The spokesperson also said, "Those involved will be brought before the regiment commander tomorrow for clarification and questioning regarding the incident and if needed we will take significant steps against them. Preliminary investigation gives the appearances that their behavior is not consistent with that expected of IDF soldiers." According to the Palestinians, the civilian in the video is Shadi al-Habsi who took part in the protest event out of anger that a family member had been wounded previously by tear gas fired by Israeli soldiers. Reports said that soldiers had also used his house to take cover from people who were throwing rocks which caused damage to his house. The Palestinians said that after his arrest, al-Habsi was taken to the nearby Beit El settlement. The IDF said that one officer was lightly wounded by a rock during Friday's violent protest and he was taken to Hadassah Hospital for medical treatment. Israeli soldiers deployed near the Sufa crossing, in the southern Gaza Strip, opened fire at and injured a Palestinian, Saturday, local sources told Ma'an News Agency. An Israeli army spokesperson confirmed the report, telling Ma'an that a "Palestinian suspect approached the security fence" and Israeli forces opened fire at his lower extremities after firing warning shots into the air. One hit was confirmed, and Israeli forces took the man to a hospital in Israel for treatment, she added. The spokesperson did not have confirmation if the injured man would be detained after treatment or returned to the Gaza Strip. Sufa was one of several crossings between Gaza and Israel to be sealed by Israeli authorities in 2007 and was permanently closed in 2009, however is sporadically opened for humanitarian needs, according to Israeli rights group Gisha: Legal Center for Freedom of Movement. The border area where Israeli forces opened fire Saturday is part of an Israeli-enforced "buffer zone" along the Gaza-Israel border as well as on the western seaside border of the Strip. 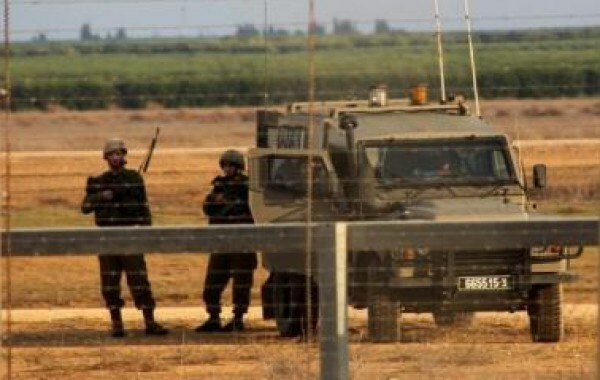 The parameters of the buffer zone are regularly changed by Israeli authorities, and Israeli forces have repeatedly opened fire toward Palestinian civilians inside of the buffer zone since the signing of a ceasefire agreement that ended a more than 50-day war between Israel and Hamas last summer, according to documentation by the Palestinian Center for Human Rights (PCHR). Despite shorter distances set by Israeli authorities, PCHR reports that attacks against Palestinians have taken place up to approximately 1.5 kilometers inside the border fence. Constituting around 17 percent of the total territory of the Gaza Strip, the buffer zone effectively turns local farms into no-go zones. The buffer zone, which Palestinians are prohibited from entering, "is illegal under both Israeli and international law," according to PCHR. Head of the Palestinian fishermen syndicate Nizar Ayyash warned against the Israeli Navy systematic and deliberate attacks and daily arrests carried out in Gazan fishing waters. Speaking to the PIC, Ayyash said that Israeli arrest and confiscation policy against fishermen and their fishing boats have been unprecedented increased over the past two weeks. Under the Oslo Accords, a peace agreement between the Palestinian Liberation Organization and Israel signed in 1993, fishermen in Gaza were legally allowed to venture out 20 nautical miles. However, since the start of the second `intifada’ in 2000, the Israeli navy imposed a three-mile fishing limit. Following the Israeli summer aggression on Gaza, the ceasefire agreement stated to increase Gaza's fishing space to five miles. The ever-tightening restrictions, frequent attacks by Israeli gunboats, and the blockade mainly aim at destroying the infrastructure of the fishing sector, Ayyash charged. The fishing industry suffered US$10 million worth of damage during the Israeli offensive on Gaza. 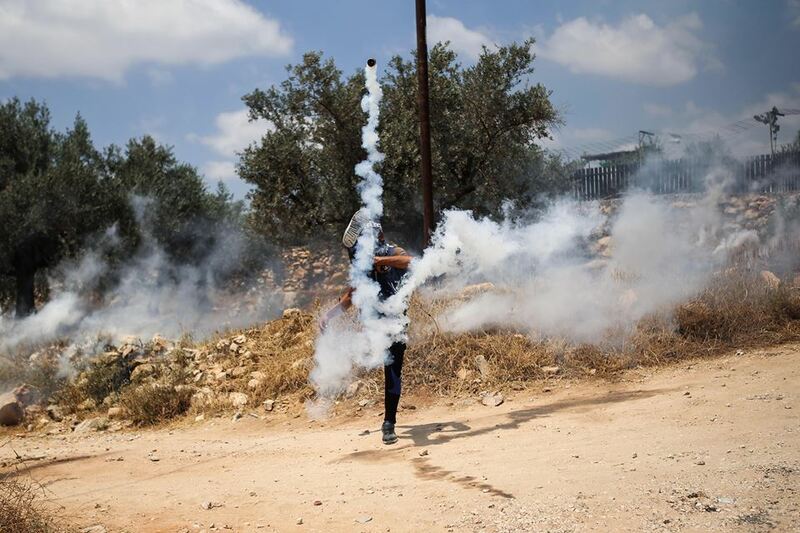 Clashes took place, on Friday afternoon, near the Ofer Israeli prison, built on Palestinian lands belonging to Betunia residents, west of the central West Bank city of Ramallah, after the army attacked Palestinians protesting nearby. The residents burnt tires, and closed a main road, before the soldiers fired dozens of gas bombs and rubber-coated metal bullets targeting the protesters, and many nearby homes and cars. Many Palestinians have been injured, largely due to the effects of teargas inhalation, medical sources in Ramallah said. The protesters hurled stones and empty bottles at the soldiers and their armored vehicles. The army also surrounded Betunia, and obstructed Palestinian traffic for several hours. After the army fired gas bombs at his home, in the al-Jalazoun refugee camp, Ramallah, causing the family to suffer the effects of teargas inhalation, Shadi al-Ghabbashy tried to stop the soldiers, but they violently and repeatedly attacked him, kicking and beating him, and striking him on the head with their guns, and kidnapped him. Al-Ghabbashy was heavily bleeding from his head, in addition to several parts of his body, as the soldiers kept beating him for nearly ten minutes, throwing him onto the ground, and striking him repeatedly, before cuffing him, and took him to their base, in Bet El illegal settlement, security and military base, Ali Dar Ali of Palestine TV has reported. The soldiers also stopped several Palestinian cars, and used them as shields while firing at local protesters, who clashed with them after invading their town. The soldiers also fired rubber-coated metal bullets at several cars; wounding one man after the bullets smashed the windshield, and struck him in the arm. At least ten Palestinians were shot by rubber-coated metal bullets, and many others suffered the effects of tear gas inhalation, while the army said one soldier was mildly injured. Dozens of Palestinian citizens were injured on Friday by Israeli bullets and tear gas during a series of Israeli crackdowns on peaceful weekly marches against the apartheid wall and expansion of illegal settlements. 5 Palestinian citizens were injured by live fire during the Israeli suppression of a weekly march in Kafer Qadoum. Five Palestinians were injured by live fire, with 2 now being described as in a ‘serious condition’, after Israeli Occupation Forces (IOF) came down hard on a peaceful weekly march taking place in the village of Kafer Qadoum. The march was demonstrating against the closure of a street in the village thirteen years ago to make way for the illegal settlement Qadoumim, which was built on the village’s land. According to Popular Resistance Coordinator Murad Shetewi, the IOF used live ammunition during their crackdown on the march, leading to the injury of Mohammed Majed (20) who sustained two bullets in his stomach and chest and whose condition was described as serious. Ibrahim Mousa (35) was also severely injured by live bullets to his stomach when the IOF fired into his house. Mohammed Nidal (20) was shot in the leg, Iman Farouq (38) in the hand, and Ma’az Khader in the leg. This is in addition to dozens of village residents, including children, who suffered from exposure to tear gas. IOF closed the village during the morning and set up a military checkpoint, declaring a closed military zone. They prevented media teams from entering the village, which led to the tranfer of those injured by private car to Rafidia hospital in Nablus for treatment. Dozens of citizens and international activists suffered injuries on Friday relating to the IOF’s use of tear gas in its crackdown on the peaceful weekly march against the apartheid wall and settlements. Local sources confirmed that IOF soldiers fired rubber-coated metal bullets, sound bombs and tear gas from the old apartheid wall towards the participants. This lead to dozens injured, suffering from symptoms of suffocation, and large fires in the village’s olive groves. Participants of the march told Palestinian media that they had marched in the streets of the village chanting national slogans demanding freedom for Palestinian prisoners and for Palestine itself. In a statement, the Popular Committee of the Resistance against the Apartheid Wall and Settlements said that the action today was in solidarity with the prisoners’ hunger strike lead by Sheikh Khader Adnan. They demanded in the statement that local and international human rights institutions put pressure on the Israeli government to release the prisoners, and demanded that the Israeli government be held accountable for any deterioration in the health of the hunger strikers. A Norwegian delegate visited the village of Bil’in and participated in the march in an expression of solidarity with the Palestinian people. The delegate heard before the march from Popular Resistance Press Coordinator Rateb Abu Rahma a detailed explanation of experiences of Bil’in residents related to their resistance against the wall and settlements during the last ten years. Rahma also spoke of the actions which have been successful during the resistance, calling for international delegates to participate in the marches against the occupation in Palestine. For his part, the Norwegian delegate expressed his admiration of the people of Bil’in in their struggle against injustice. Israeli soldiers invaded, Friday, Silwad town, east of the central West Bank city of Ramallah, attacked dozens of protesters, and fired live rounds, rubber-coated metal bullets and concussion grenades at them. Medical sources said one Palestinian was shot with a Tutu live round that explodes on impact, causing excessive bodily damage, while shrapnel of a concussion grenade injured another Palestinian. The WAFA News Agency has reported that the soldiers also invaded a home, and occupied its rooftop, before using it to fire live rounds at the protesters. The soldiers forced the family out of their home for a few hours. WAFA added that the soldiers obstructed the work of the reporters, and fired concussion grenades at them. In addition, the army fired several gas bombs and concussion grenades at local medics, and firefighters trying to extinguish fires that broke out in Palestinian farmlands, due to gas bombs and concussion grenades fired at them. Dozens of residents suffered the effects of tear gas inhalation after Israeli soldiers assaulted the weekly nonviolent protest against the Wall and Settlements in Bil’in village, near the central West Bank city of Ramallah. Israeli gas bombs also caused fire in olive orchards. The villagers, accompanied by Israeli and international peace activists, marched from the center of the village, carrying Palestinian flags and chanting for national unity, ongoing resistance against the occupation, and the release of all detainees. Today’s protest comes in solidarity with hunger striking Palestinian detainees in Israeli prisons, and to demand local, regional and international human rights groups to pressure Israel into releasing all political prisoners. The Popular Committee Against the Wall and Settlements in Bil’in held Israel responsible for the lives of the detainees, and called on the Palestinian people to head to Jerusalem, and the Al-Aqsa Mosque, subject to ongoing and escalating Israeli violations, and assaults. The soldiers fired dozens of gas bombs at the protesters and into olive orchards, causing scores of protesters to suffer the effects of tear gas inhalation, and causing fires in a number of trees. It is worth mentioning that a Norwegian delegation visited Bil’in, and participated it the protest in solidarity with the Palestinian people. The delegation listened to a detailed presentation by the Coordinator of the Popular Committee, Dr. Rateb Abu Rahma, regarding the successes and experiences over the last ten years, since the villagers started protesting the Annexation Wall and illegal colonies. Dr. Abu Rahma called for more international participation in the nonviolent protests against Israel’s Annexation Wall and colonies, in different parts of occupied Palestine, to observe firsthand the Israeli violations against the people and their lands. Medical sources have reported that five Palestinians were shot by Israeli live rounds, two seriously, while scores of residents suffered the effects of tear gas inhalation, after Israeli soldiers invaded Kufur Qaddoum village, near the northern West Bank city of Qalqilia, to stop its weekly protest. The Palestinians marched demanding the army to reopen the main road of the village that was blockaded more than 13 years ago, to enable easy access to the settlers driving to Kedumim illegal colony, built on Palestinian lands. 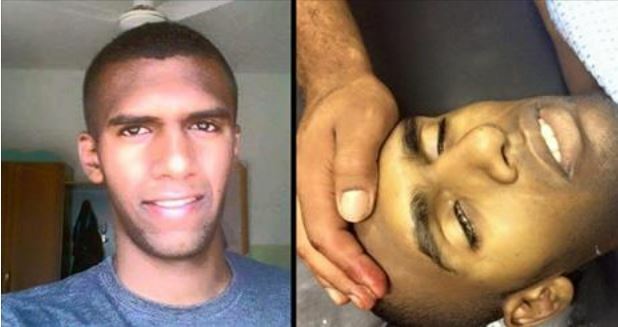 Coordinator of the Popular Committee against the Wall and Settlements Morad Eshteiwy said the soldiers resorted to excessive force, firing dozens of rounds of live ammunition at the protesters, seriously wounding Mohammad Majed, 20, with two live rounds in the abdomen and chest. Eshteiwy added that another Palestinian, identified as Ibrahim Mousa, 35 years of age, suffered a serious injury after being shot with a live round to the abdomen, while in his home. In addition, resident Mohammad Nidal, 20, was shot with a live round in his leg, while Ayman Farouq was shot in his arm, and Mo’ez Khader was shot in the leg. Dozens of residents, including many children, suffered the effects of tear gas inhalation as the soldiers kept firing gas bombs at homes, and streets, in the village. It is worth mentioning that the army surrounded the village, during early morning hours, and declared it’s a closed military zone. The soldiers also prevented journalists and solidarity activists from entering the village. 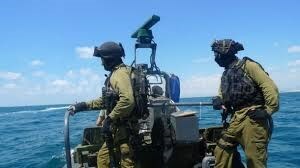 Israeli Navy ships opened fire, on Friday morning, on a number of Palestinian fishing boats, approximately 4 nautical miles away from the Gaza shore. 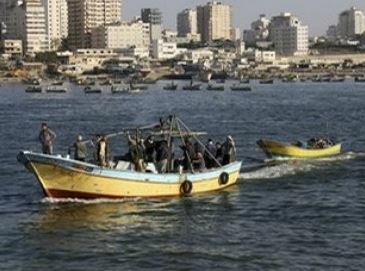 The Palestinian News & Info Agency (WAFA) said the navy ships opened fire on the navy boats, in the Gaza Sea, forcing the fishers back to shore, to avoid further fire. The attack is part of daily violations against the fishers in the besieged and impoverished coastal region. Similar attacks are frequently carried out against farmers in their lands, close to the border fence. 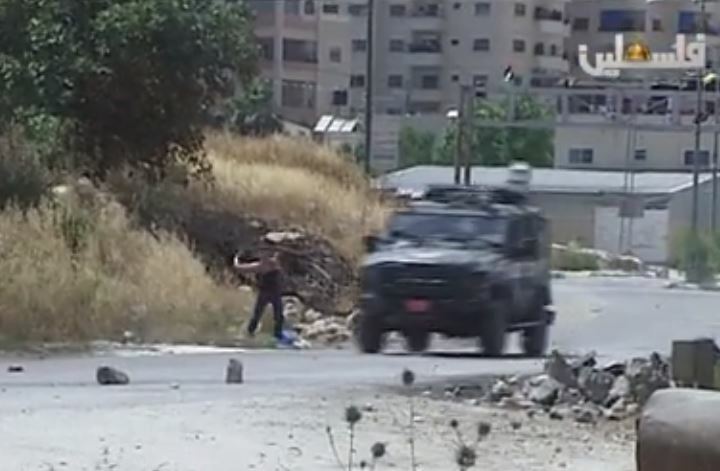 The Wadi Hilweh Information Center in Silwan (Silwanic), in occupied East Jerusalem, has reported that clashes took place, on Thursday evening, after Israeli soldiers closed the main road leading to the town, in order to allow military vehicles to pass. 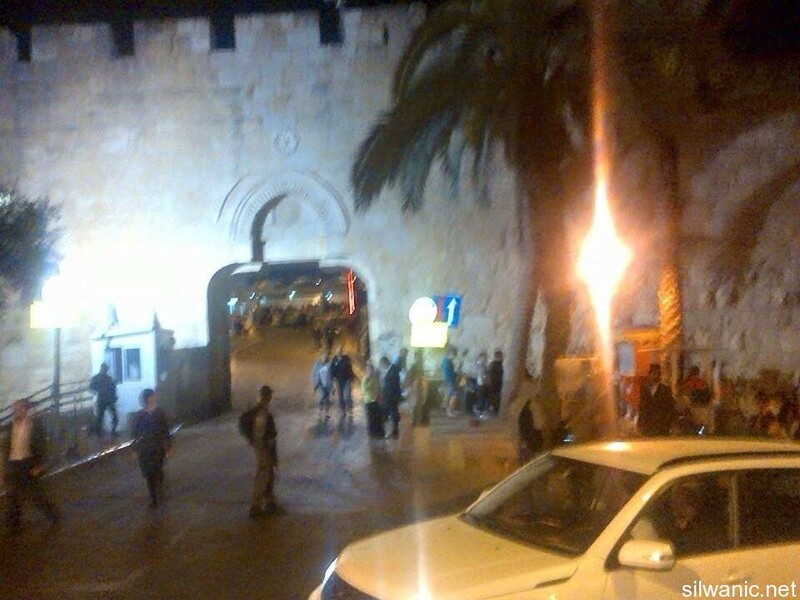 Silwanic said the soldiers sealed the al-Magharba Gate road, completely blocking Palestinian access, while allowing Jewish settlers to use it without any obstruction. 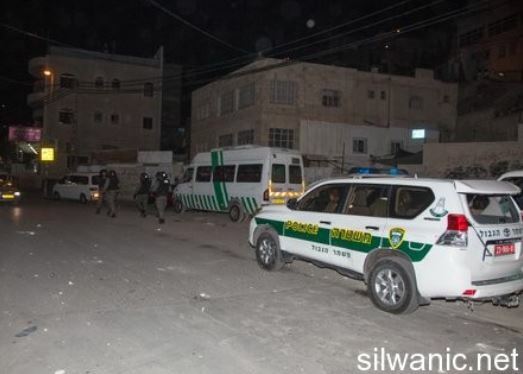 Scuffles broke out between the soldiers and the residents, before undercover forces of the Israeli army invaded Bab al-Magharba road area, leading to clashes with local youths. 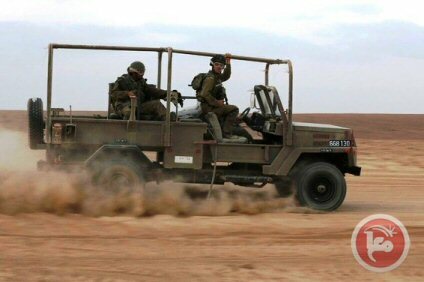 Several Palestinians were injured, while Israeli sources said three soldiers were mildly wounded. In addition, soldiers installed roadblocks near al-‘Ein Area and Wadi ar-Rababa, before stopping and searching dozens of cars, while inspecting the ID cards of the passengers. Israeli soldiers invaded, earlier on Thursday morning, the al-Borj, al-Meeta and al-Maleh areas, in the West Bank’s Northern Plains, and removed thirty families, to conduct live-fire military training. Head of the Wadi al-Maleh Local Council Aref Daraghma said the soldiers surrounded the entire area, removed the families, and told them the army will be conducting training in their residential areas from 6:30 in the morning until 12:30 in the afternoon. Daraghma added that the soldiers also informed the families the army will be returning to conduct more training, next Wednesday. 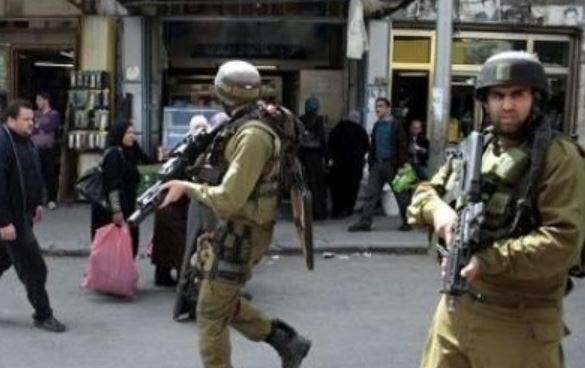 The Wadi Hilweh Information Center in Silwan (Silwanic) has reported that clashes took place, on Wednesday evening, between the residents and Israeli soldiers, after the soldiers attempted to kidnap a child in Ein al-Louza neighborhood, allegedly after hurling stones on them. Silwanic said the residents managed to secure the release of the child, after the soldiers detained him as he was walking close to his home. It added that the army fired dozens of gas bombs and concussion grenades at the residents, and their homes, causing many to suffer the effects of teargas inhalation. The Palestinians in Ein al-Louza neighborhood complained of repeated military invasions, and constant provocation by Israeli soldiers and settlers, especially since the soldiers are usually extensively deployed in the afternoon, while children are heading back home from school. Silwanic said it documented many incidents were children have been detained by the soldiers after leaving school, and that the average age of the children is between 12 and 15. Palestinian medical sources have reported that several residents suffered the effects of teargas inhalation, late on Wednesday at night, during clashes with Israeli soldiers invading Kafrit village, southwest of the northern West Bank city of Jenin. The sources said the soldiers fired dozens of gas bombs, causing many Palestinians to suffer the effects of teargas inhalation, including a child, identified as Karam Eghbariyya, who required further treatment. Eyewitnesses said several military vehicles invaded the village, and that dozens of soldiers were deployed in olive orchards, while more vehicles were seen driving around the towns of Ya’bad, ‘Arraba, ‘Anza, Jaba’, and al-Jarba. 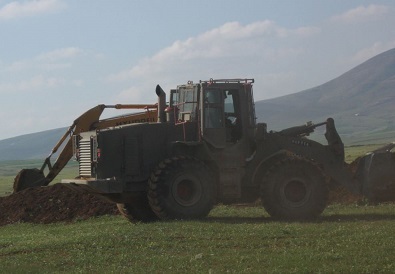 The soldiers then conducted live fire training and military maneuvers, near the villages, causing anxiety attacks among many residents, mainly children. 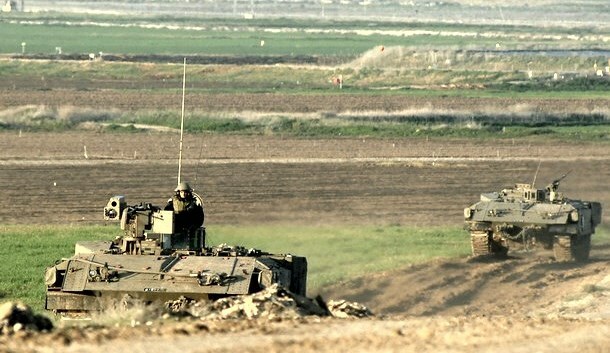 Israeli Occupation Forces carried out a limited incursion Wednesday morning into the eastern areas of Khan Younis to the south of Gaza strip. Israeli military vehicles were observed by local residents penetrating 150 meters into Qarara border town east of Khan Younis. Wednesday's incident came as part of Israeli near-daily violations to the ceasefire agreement reached on August 26, 2014 between Palestinian resistance and Israel to end its 51-day aggression on Gaza. Over May, human rights report documented 21 Israeli similar violations including 14 shooting and incursion cases and 6 arrests. Israeli soldiers invaded, on Wednesday at dawn, the Jenin refugee camp, in the northern West Bank district of Jenin, shot and killed one Palestinian, during clashes that took place after the soldiers stormed homes and detained several residents. Medical sources in Jenin said the soldiers fired several rounds of live ammunition at Ezzeddin Bani Ghafrra, in his twenties, directly hitting him in the chest causing instant death. The soldiers also fired rounds of live ammunition, gas bombs and rubber-coated metal bullets, in addition to several flares, during clashes that took place with local youths. Many Palestinians also suffered the effects of tear gas inhalation after the soldiers fired gas bombs into their homes.